If you have followed me for a while, you’ll know that the best £7 I ever spent was on a sequin skirt. Not any sequin skirt, but the original H&M pink sequin skirt that literally kicked-off the trend almost 2 years ago. 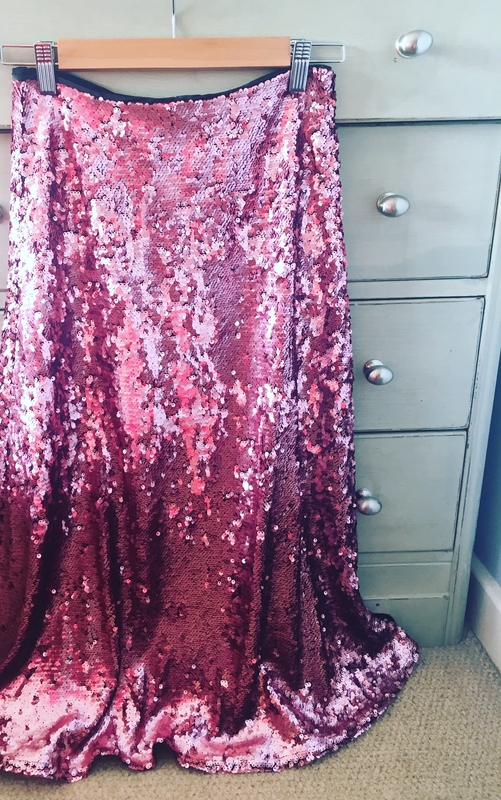 At the time of sale, pink sequins were not everyone’s cup of tea and too risqué for the majority – which is why this particular skirt ended up on the January clearance rail. Many were still of the mindset that sequins could only come out at night and you had to be a fully-fledged disco diva to wear them!! 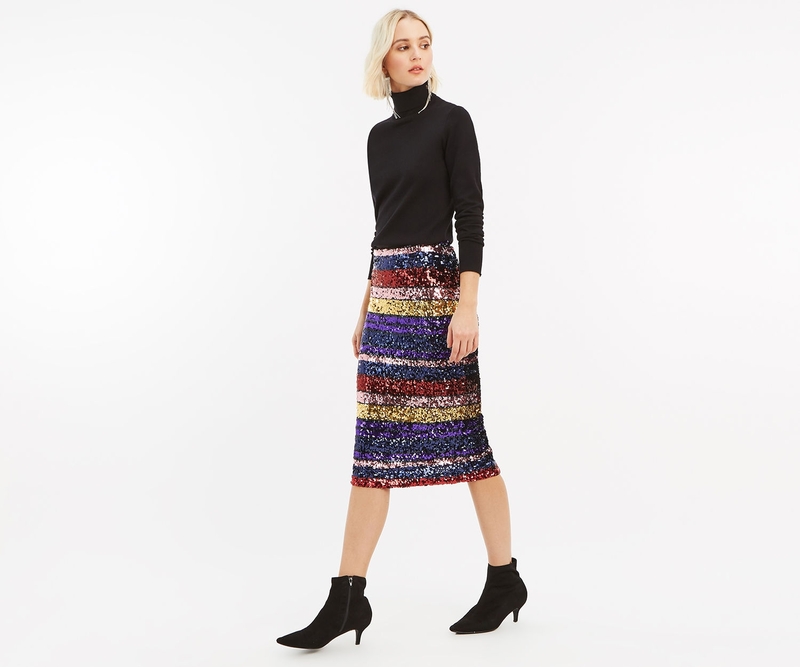 Fast forward two years and the fashion-buying public are now fully accepting of sequins which means that just about every retailer this year, has a sequin skirt as part of it’s collection for the festive season – even good old M&S!!! Not only are sequins now mainstream, they have crept into the daylight too. 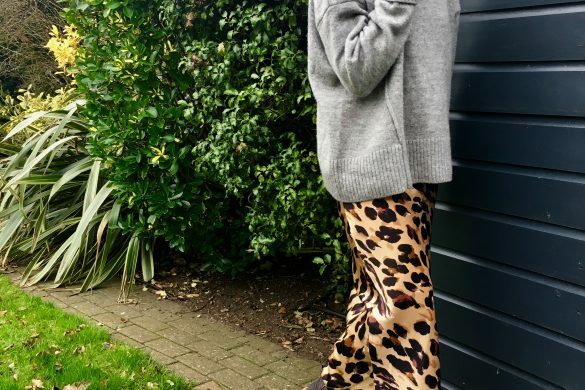 The trend for high-low dressing – that is wearing something previously destined for special occasions in a laid-back way, by mixing it with something much more casual – has allowed sequins to flourish alongside denim, chunky knits and trainers. 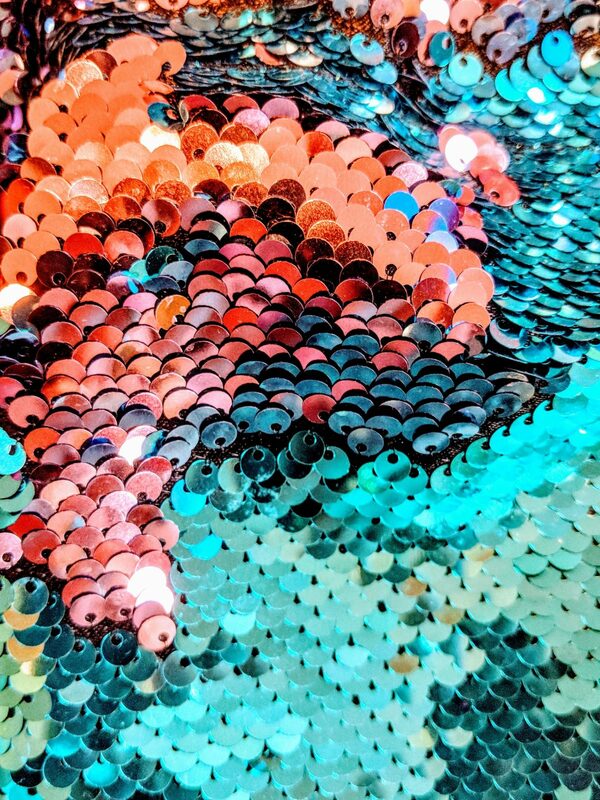 This is great news because it means that whilst you may purchase a sequin skirt for a festive occasion; be it a cocktail party, the office party or a shindig with your neighbours… you can rest assured that it will be money well spent as you’ll be able to wear it again and again. Even after Christmas is over. 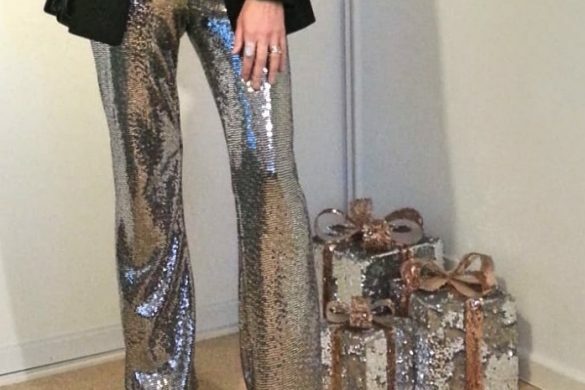 Don’t be afraid of sequins… they will certainly add fun and sparkle to your wardrobe. And a skirt is much less in-your-face, and more wearable, than a full-on dress. If you are thinking they might be trashy – think again! 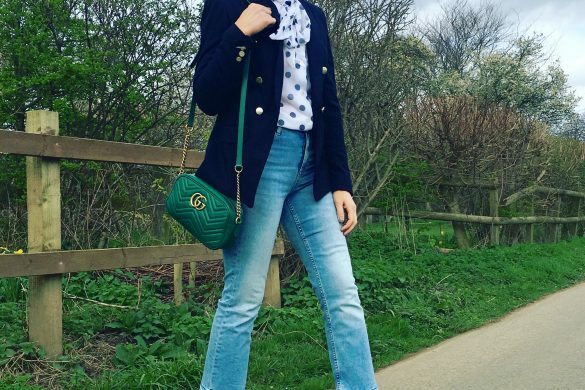 All skirt styles look chic with a shirt… A crisp white shirt will add sophistication to your sequins whilst a denim shirt is the easiest way to dress-down a sequin skirt. Or team your sequins with a black roll neck and blazer for instant beatnik style. I have worn my pink sequin skirt on many occasions now. It works just as well during the summer – with a light tee and slides – as for the party season with heels. Sometimes I like to wear it totally casual with a hoody or slouchy jumper and trainers. It’s a stand-out piece that always receives lots of comments. 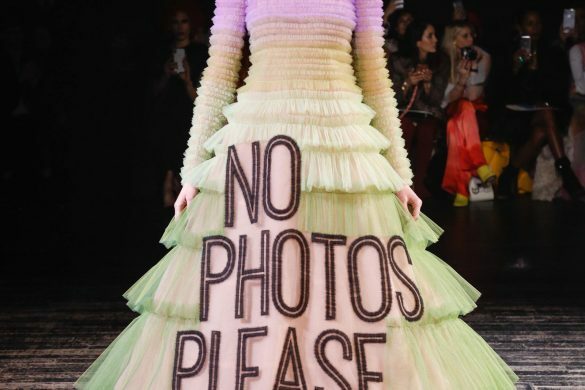 Plus I just LOVE to wear it and that is all the reason I need to keep on wearing it whatever the occasion! You’ll notice that most of the styling here is fairly safe; pairing the sequin skirt with a plain back top. 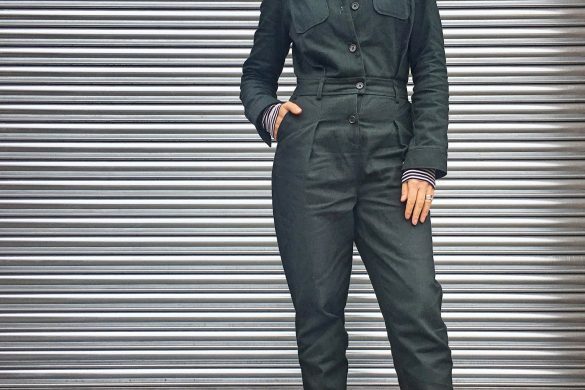 This is a really easy style to pull off but don’t be afraid to experiment! Try wearing tonal colours on top (as demo’d by Top Shop & Boden at the end), for example blue-green on green, or crimson pink on lighter pink. For more ideas on how to style a sequin skirt, check out my Pinterest Board here. 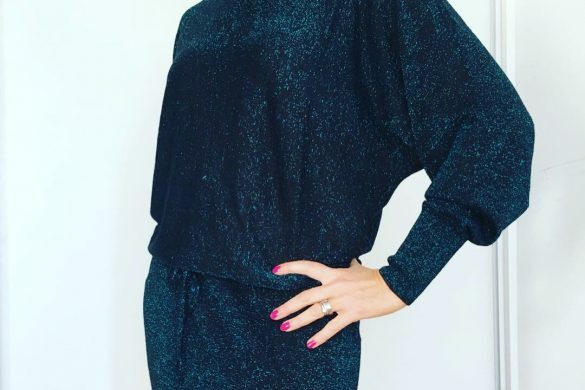 There’s no reason not to add a bit of sparkle to your outfits, you are literally spoilt for choice right now! 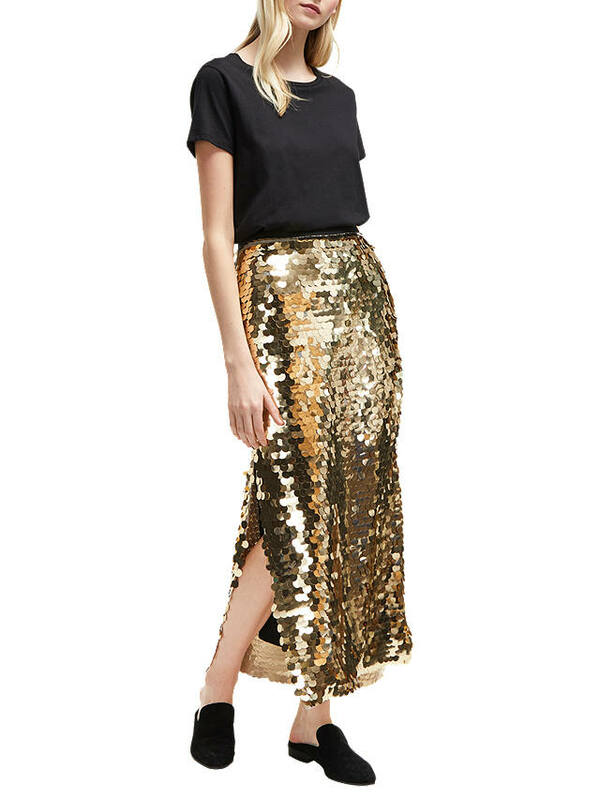 Here’s more shopping inspiration for sequin skirts – there’s so many to choose from!!! 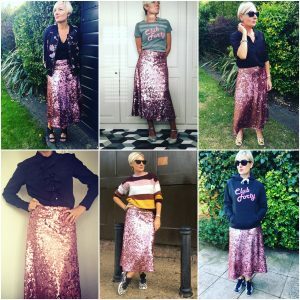 I hope you’ve enjoyed my selection of 10 best sequin skirts – which is your favourite? Do you already own one or does one feature on your Black Friday shopping list? Or perhaps sequins are just not for you? 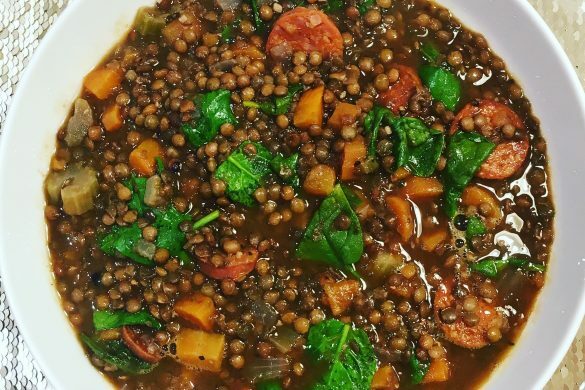 As always – I love to know your thoughts so please leave a comment below! Please note, there are affiliate links on this page so if you click through and purchase I may earn a small (tiny!!!) commission. Loving the M&S gold reversible sequin! Hi Julia, lovely to hear from you! And yes, of course you can!! !